Waste Collection System has erection, commissioning, repairing and maintenance work of these equipment. Fabricated using quality tested raw material, our range finds application in Textile Mills, Ventilation and Air-Cooling Systems for CNC Machine Shops and Other Industrial Production Halls. With sincerity and hard work of our professionals, we have carved a niche for ourselves in this domain by offering Blow Room Central Waste Collection System. The offered waste collection system is designed by using high grade material and leading technology. To make certain quality, this waste collection system is properly checked on various parameters. Customers can purchase this waste collection system from us in different technical specifications, as per their needs. We are among the well-known manufacturer and supplier of excellent quality range of Central Waste Collection System. The offered waste collection system is designed by using high grade material and leading technology. To make certain quality, this waste collection system is properly checked on various parameters. Customers can purchase this waste collection system from us in different technical specifications, as per their needs. 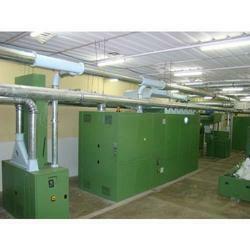 Looking for Blow Room Central Waste Collection System ?